Army horse may not be the Kentucky Derby but it's still a thrilling race against time riding after rivals, and shooting them down one by one. It's a war human vs. animal. Saddle up and take Army Horse for a spin it's a wild, crazy ride! 1. 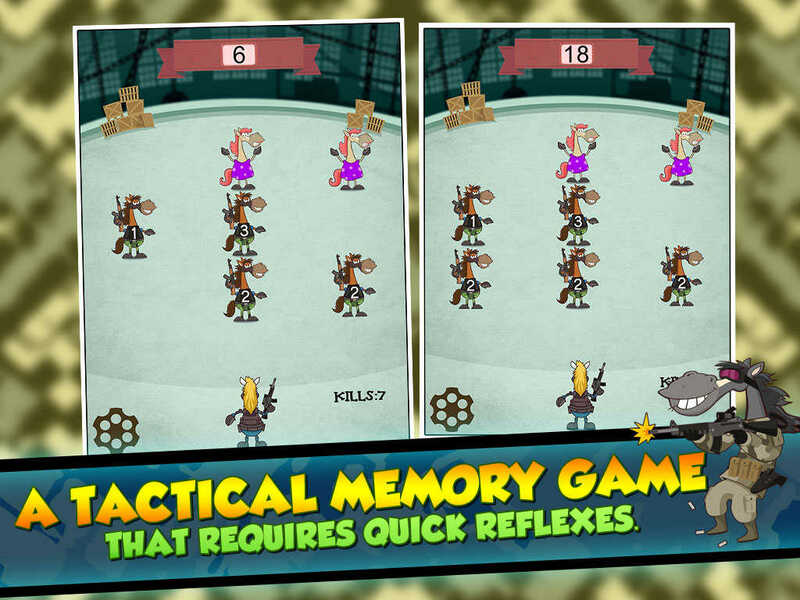 Be quick and shoot the naughty farm animals in the sequence shown within the given time and you'll be crowned the winner! 2. Do not make the tactical error of shooting innocents, protect them and your quest continues. 3. Reload ammo by tapping lower left corner of your screen. Life is a game of man vs. beast and Army Horse is the same. 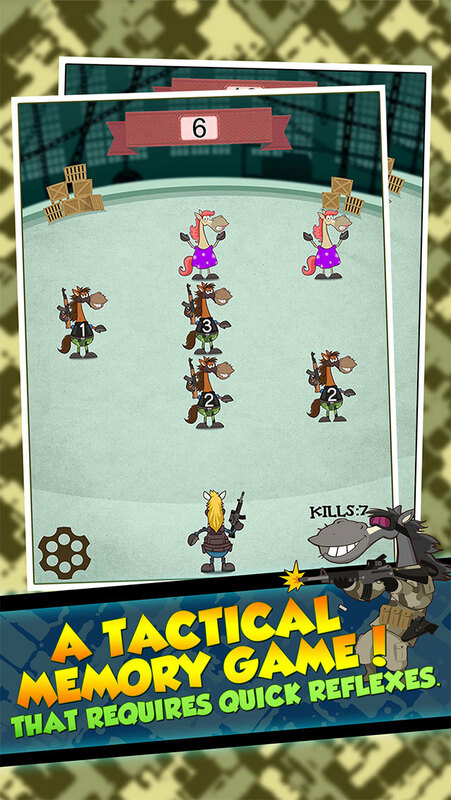 Unleash your samurai warrior within and see if you got what it takes to beat a dead horse! To be one of the champions takes speed, agility, and a photographic memory. You must be creative like your favorite comics hero to anticipate your enemy's next move. 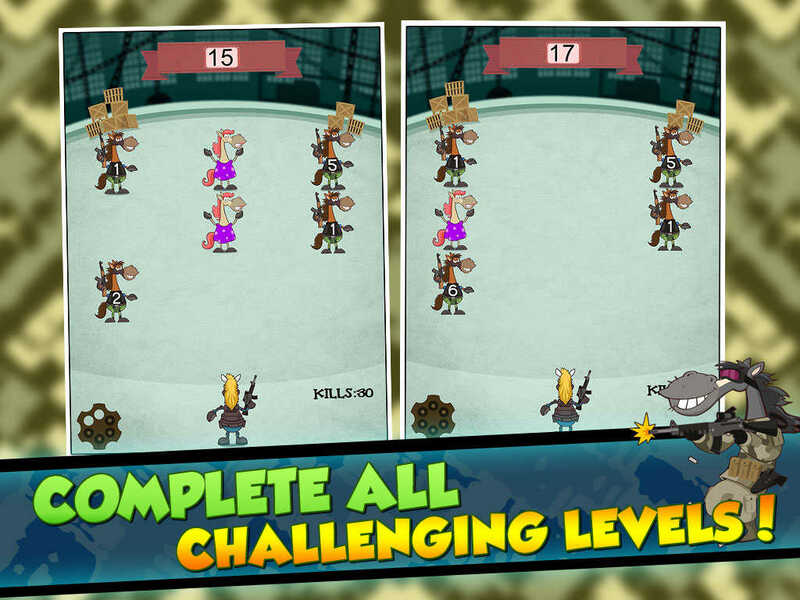 Army Horse is filled with cute innocent pets that need your help to survive. Defeat the dark horses to save the day! 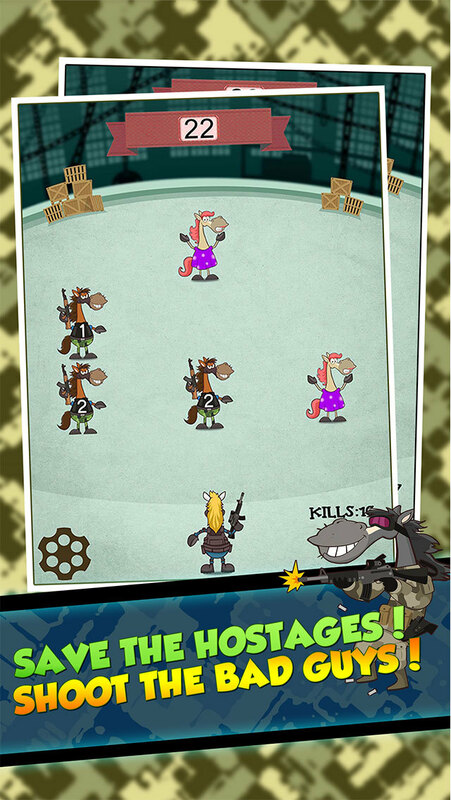 Guys, girls, kids and everyone else in-between will be jumping the starting gate and chomping at the bit at the chance to play Army Horse and once you kill them they stay dead no zombie horses to worry about. 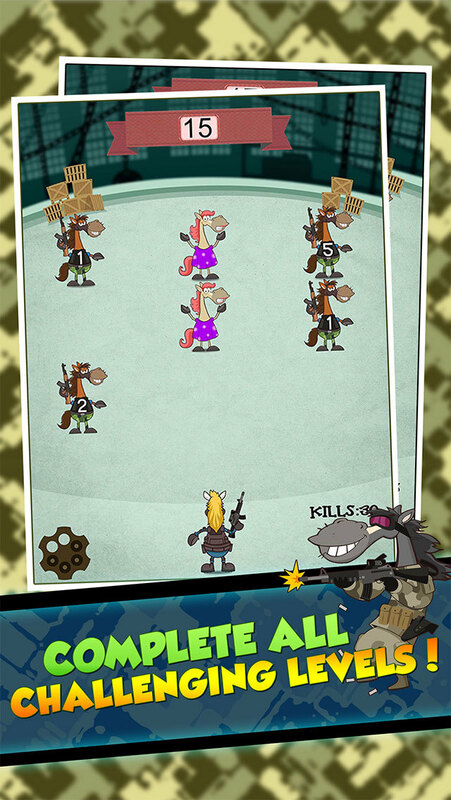 Download Army Horse today it's a sure bet!